some times we encounter some situations when we need any software or file which are in our host operating system ,sharing some files from host desktop when we use virtual box or to copy files from virtual box to host .There is a option which is commonly practiced by soo many people that is drag and dropping form host to virtual box or from virtual box to host .This type of sharing with virtual box which doesn’t work for certain files or for large files .In this case it is difficult to share files from both sides but we can enable file sharing option in virtual box which redirects us to share files which we want in virtual box.This option is very much useful when we perform any attack without further download of any type of software espescially in virtual box which is sure waste of time and also useful if you want to test any application in virtual box. NOW LET US SEE HOW TO SHARE FILES FROM HOST TO VIRTUAL BOX (FOLLOW THE BELOW EXPLAINED STEPS CAREFULLY). 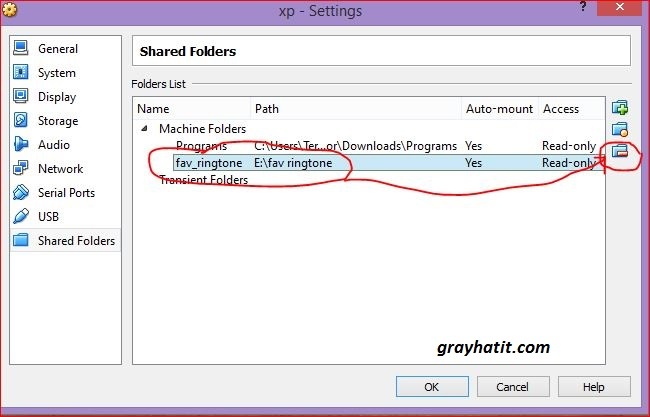 1. open “settings” from machine(virtual box) settings at top of window. In my case i am using “windows xp” .You can use anything in virtual box and the same steps are followed even in other operating system. For making file sharing in backtrack click here. 2. 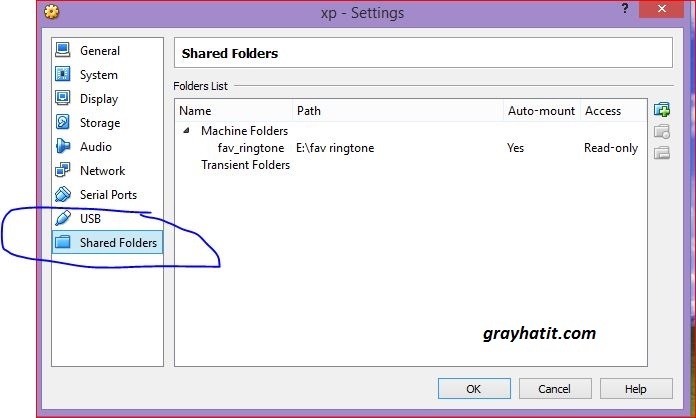 Go to “shared folders” . 3.click on the “green button at right side”. 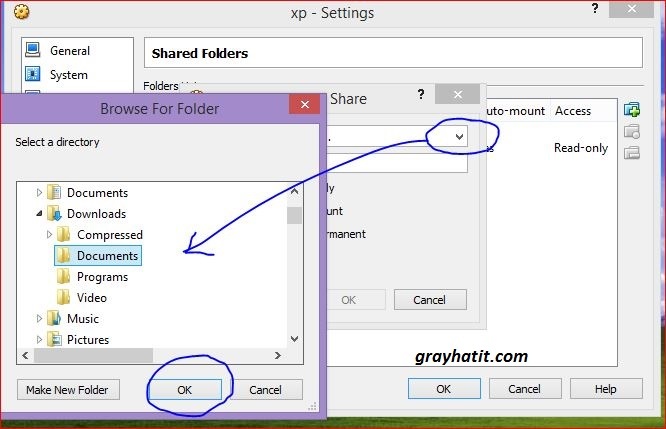 4.Browse the folder you want to share from host,then check all boxes ,so that no need to load everytime you open the virtual box. 5. Shut down the virtual box or restart.you can see shared folders at description of virtual box. 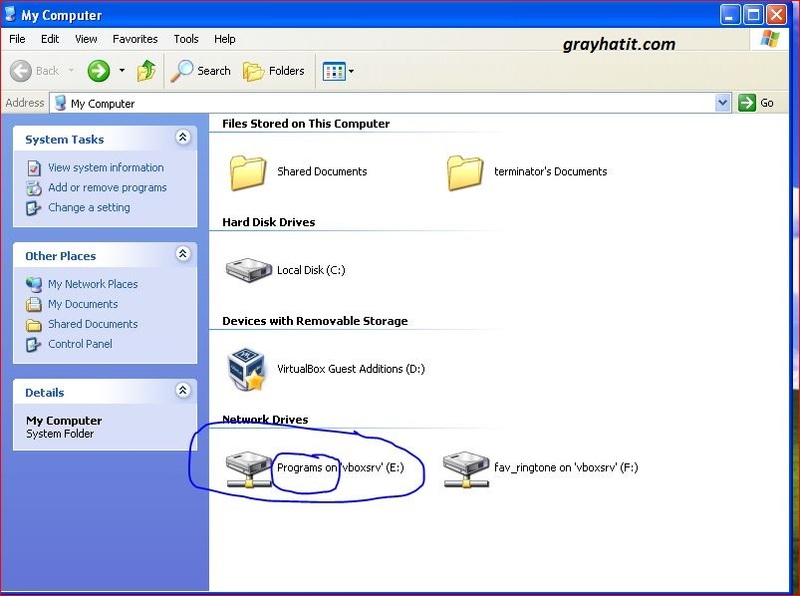 6. you can see two shared settings in my computer in my case in which i already shared one folder from host. 7. To remove any shared folder just right click on that folder you want to remove and click on “disconnect”.Or follow as i recommended below. 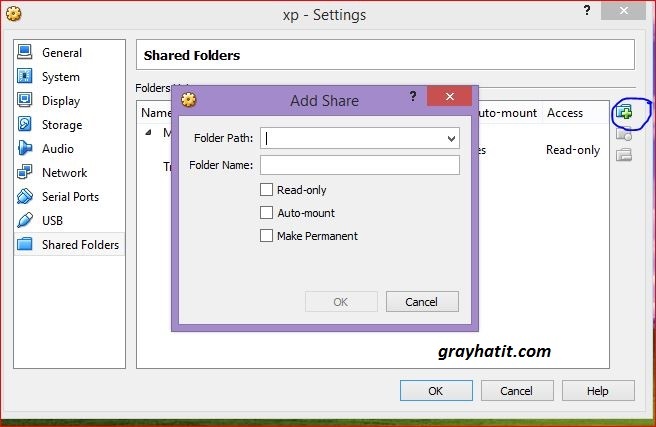 AFTER YOU REMOVED SHARED FOLDER AND REBOOT YOU SHOULD GET “ONE FOLDER” SHARED IN DESCRIPTION. I have two foldes in my case from which i removed one .